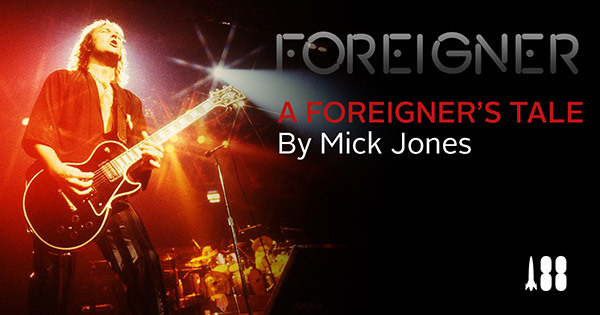 Foreigner founder and leader Mick Jones is writing a book about his life and the career of his band. A Foreigner’s Tale will be the band’s first-ever official biography, and will be available in various formats, including a limited edition. Produced in conjunction with Rocket 88 Books, It will only be sold via Foreignerbook.com where fans can register their interest – fans can get the information on the book first, a pre-order discount and the chance to have their name printed in the book. The publishers insist it will not be sold and discounted at Amazon and Barnes & Noble.